In the previous blog in this series, I mentioned that Content Delivery is now called the Unified Delivery Platform (UDP), but I didn’t go into any details. In this blog however, I shall explain the reasoning behind this choice and explain the changes in functionality. The reasoning behind the choice is not at all difficult to understand, on the contrary as it is a logical unfolding of events having SDL’s vision in mind of combining Tridion Sites and Tridion Docs (formerly known as Knowledge Center) under one suite, SDL Tridion DX. You can find more information and download the Tridion DX brochure here. Note #1, In this short time span between the blogs the UDP name has changed and now it’s Dynamic Experience Delivery (DXD). I shall be calling it so from now on. Note #2, SDL’s documentation still refers to it as Content Delivery for now, so don’t get confused. The DXD is envisioned to be a common delivery environment for both Tridion Sites and Tridion Docs enabling customers and partner engineers to use all the capabilities of the Tridion DX suite. The architecture of the DXD can be seen on the image below. 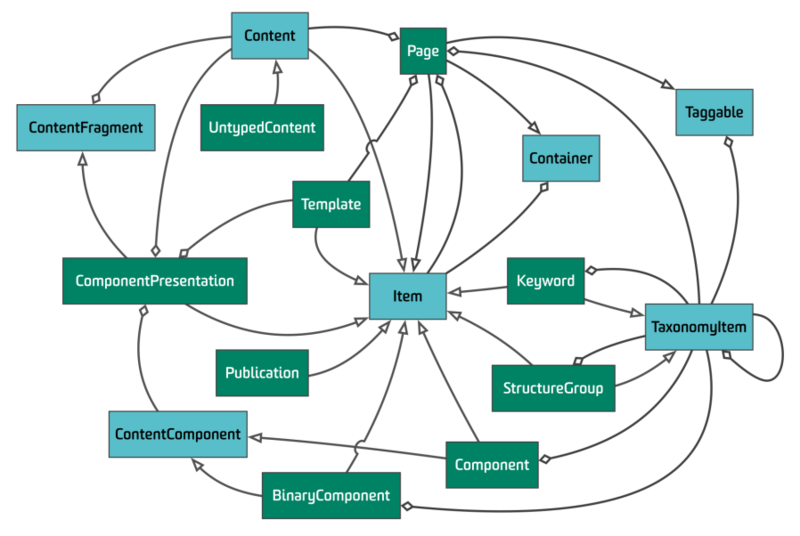 The colored rectangles represent all the microservices with distinct capabilities, they can mostly be found in pairs. On the left side are the Management Services which Sites and Docs, our editorial systems, use. On the right side are the Interaction Services which are used by Web Applications, Custom Integration services, 3rd party systems, etc. In between them are the respective Data storages for each of the services. As you can see from the image, both Docs and Sites use a common Deployer to publish to a common Data store (Broker). The deployer has an extensibility mechanism so in the future more (custom) sources are possible. The architecture of the deployer can be seen on the image below. Most of these elements have been introduced in Web 8.5, the biggest change however is the Deployer Worker Services/Extensions, currently there are 3: Sites, XO and Docs. 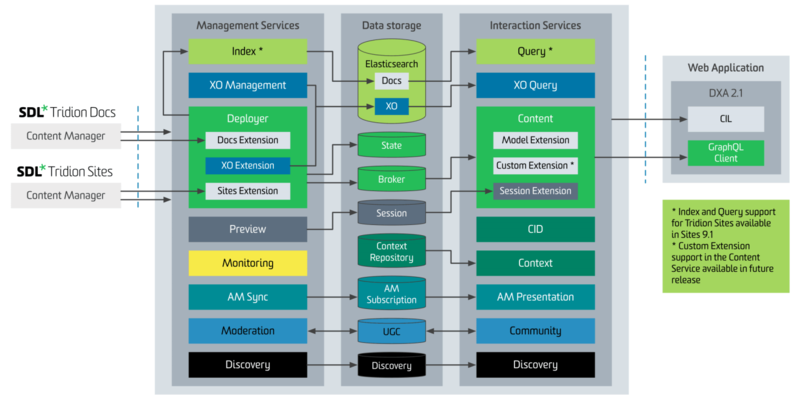 Index/Query services, (leveraging ElasticSearch) these services provide XO capabilities for Sites, while for Docs they provide a content indexing/full document search feature. 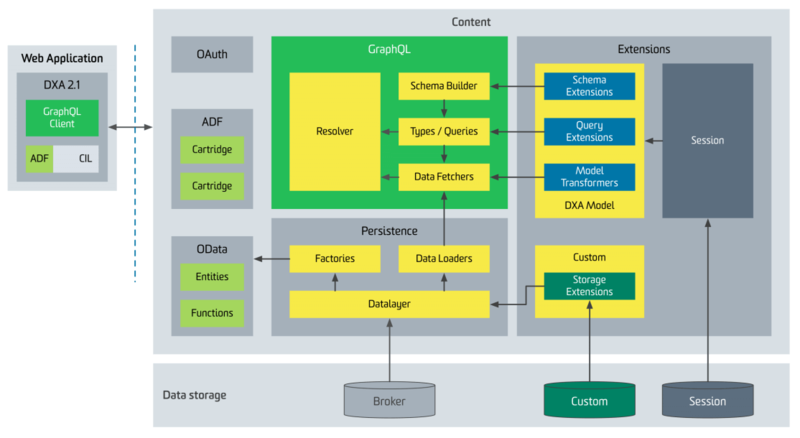 The query service also provides an API which web applications can use. Content indexing/querying for Sites will be available starting in Sites 9.1. Content service is the main mechanism for exposing data to the end users and I have the impression that it has undergone the biggest transformation. One big change is that the content service now has extensions as one of its building blocks, currently 2, but support for custom extensions is expected in future releases. The 2 extensions are the Model Extension, which is basically the DXA 2.0 Model Service for DXA 2.1 but embedded inside the content service instead of a standalone microservice, and the other one is the Session Extension. By having the Session Extension in the content service, it’s no longer needed to have both session enabled content service and the “regular” content service to be installed for environments which have XPM. The session enabled content service will still be shipped but only for legacy reasons. The Session Extension will be configurable so it can easily be switched on/off. The overview of Content Mashups can be seen below. Pay attention to the “Web Page” block, as you can see it has both Sites and Docs content. This is the main idea behind content mashups. The new version of DXA (2.1) uses a built-in PCA client to do the querying. With Sites 9, each microservice present on the image below is also built as a Docker image. Unfortunately, SDL can’t distribute Docker images because of licensing reasons, however they will provide Docker files and instructions on how to build our own containers. 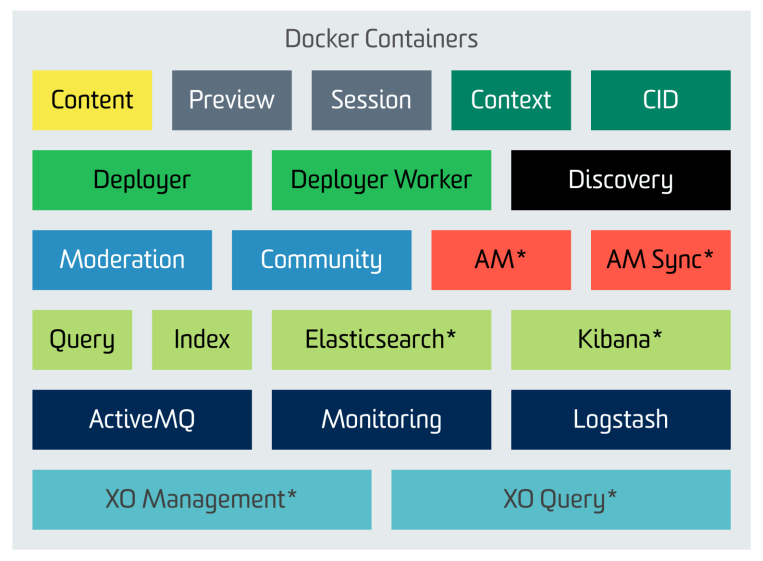 The support for containers has greatly increased with the introduction of configuration which can be based on environment variables, introduced in 8.5. This would be all for this week’s presentation, stay tuned for the next one :). As always if you have any questions or would like to share your thoughts, don’t hesitate to get in contact.